You can choose a specific spot or combine as many as you like in your trip. Just let us know what you want and we’ll organise it for you. This is the first spot we see coming from Cape Town. This is a large beach with small sand dunes behind where the southeasterly wind blows consistently. During high season this is one of the most crowded spots due to the number of kite schools which teach here. This spot is just a few hundred metres downwind from Dolphin Beach. A small bay with rocks on either side where regular waves form leaving perfect flat water in between them. This is Cape Town’s most famous spot for waveriding. With the right conditions, this is an awesome wave spot. 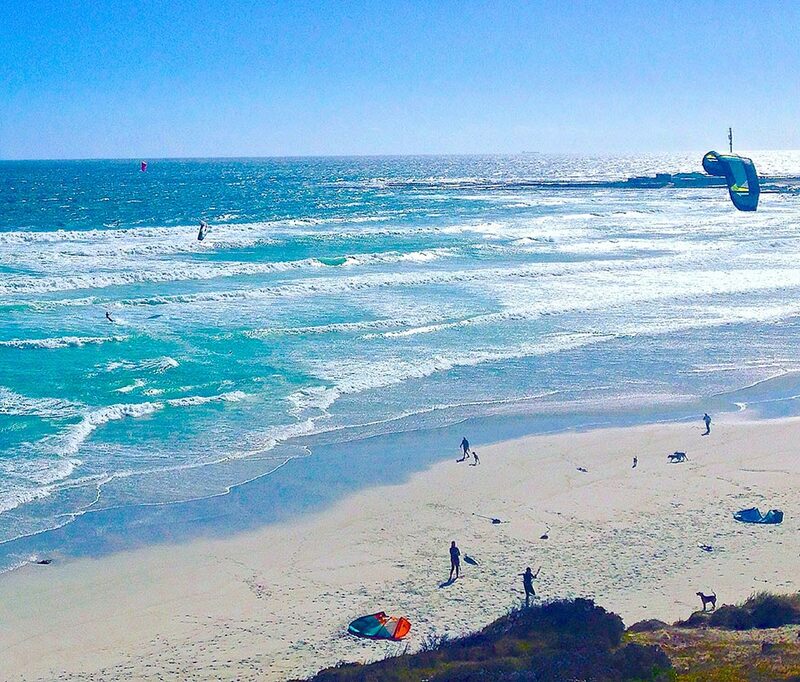 Langebaan is a quiant growing town beside a huge crystal clear blue lagoon which form part of the West Coast National Park. 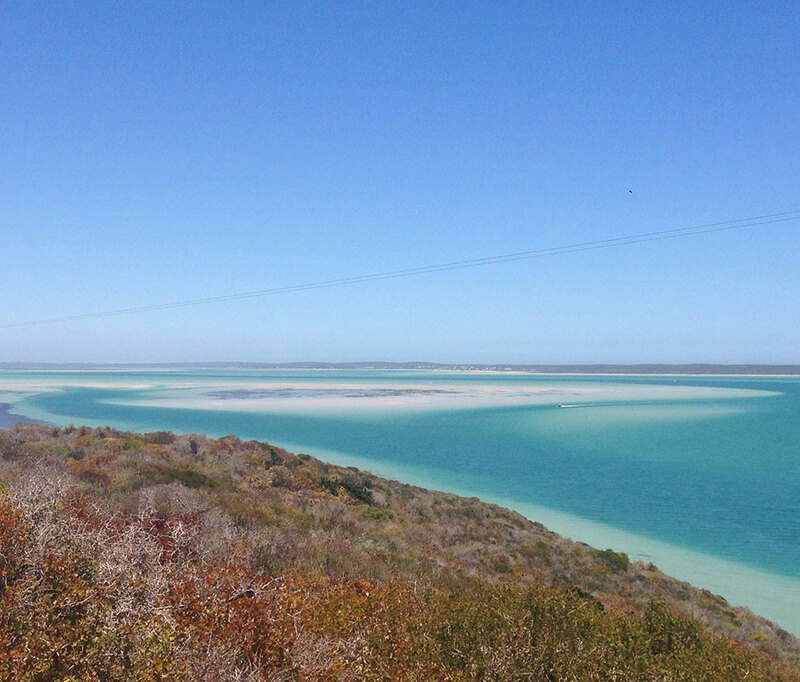 This spot is located north of the Langebaan Lagoon, opposite the town. Velddrif, a rare spot which offers amazing flat water conditions. 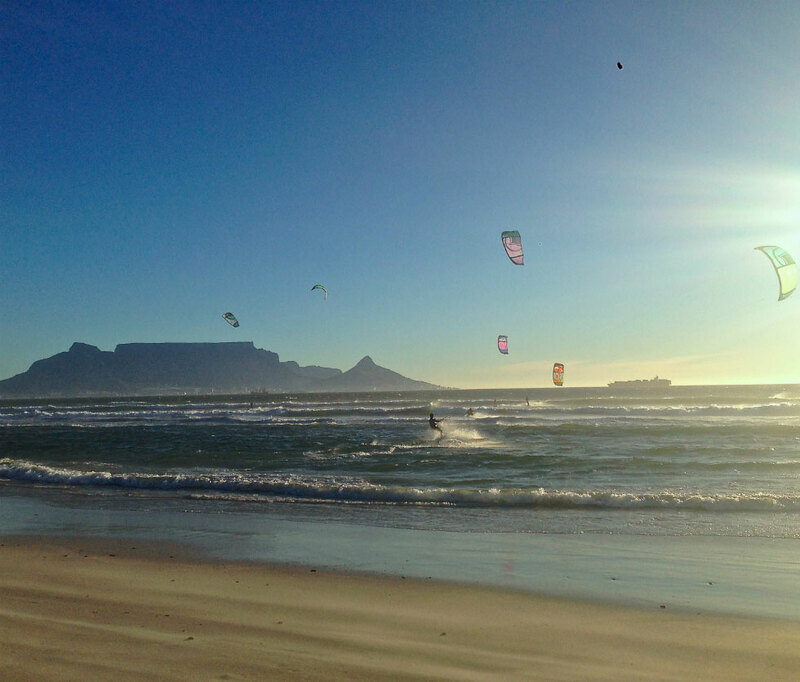 Kitesurfing conditions here are good with a swell and the SW wind is blowing. Waves form here very neatly offering great waveriding conditions when both NW or SE winds blow. Witsand is a beautiful beach surrounded by sandunes and is an amazing spot for waveriding. This spot works perfectly with SE winds with nicely organised waves reaching up to 6 meters high. Hermanus is a fishing town 127km away from Cape Town with a large lagoon and open sea spots. In Struisbaai offers both a flat water spot and a wave spot. 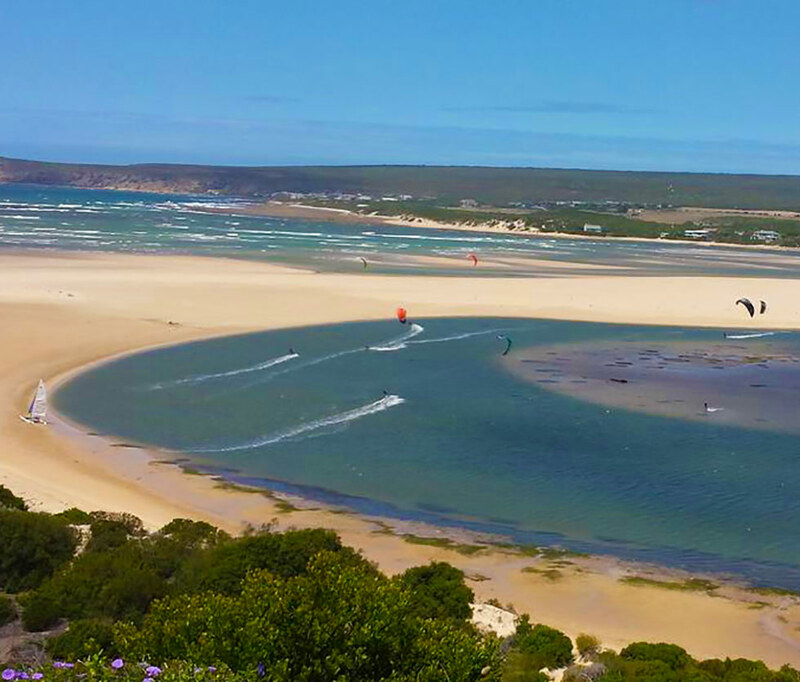 This spot is the jewel of South Africa for kitesurfing. You choose the spot. We'll take you there. Receive new offers about your next kitesurfing adventure. Are you already thinking about your next kitesurf adventure? Send us your email and we'll keep you in the loop of the destinations that can be part of your next kitesurf trip.